Ilona has spent the last four decades living in the very special area of North San Diego County. She is a wealth of knowledge, and enjoys sharing her expertise with clients looking to buy or sell a home. As a “Boutique” Realtor, Ilona works with only a few clients at a time in order to give them focused attention and personal care. Using a team of professionals, she works diligently to address your needs and concerns, knowing that each transaction is very individualized. 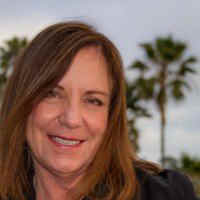 She has a designation of Seller Representative Specialist, and enjoys working with both Sellers and Buyers. One of her niches is working with Baby Boomers, as she understands first hand the necessities of that age group. She feels that “Your home is your refuge,” as George Carlin stated in ‘How to Stay Young,”….and she makes it a priority to find the perfect property for each client! Ilona currently works at one of the top Real Estate companies in the area, Sea Coast Exclusive Properties. Olivenhain,Vista, Oceanside, San Marcos, La Jolla, University City, and greater San Diego. Interests: Dogs (Ilona has a Rhodesian Ridgeback, Kioni), Exotic travel, Tropical gardening, Ocean, Holistic Health, and Transpersonal development. Ilona has a daughter living in Seattle. P.S She is never too busy for your referrals!